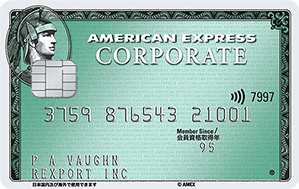 The American Express Gold Corporate Card is ideal for frequent business travelers. They can take advantage of free use of lounges and free Wi-Fi access to reduce stress and increase productivity on the road. Gold Corporate Card Members have access to airport lounges in major domestic and overseas airports. We offer unlimited complimentary access to lounges at 28 domestic airports, as well as Honolulu International Airport in the United States, and Incheon International Airport in Korea. You can also invite one guest to join you free of charge. Priority Pass gives you greater access to over 1,200 participating VIP airport lounges worldwide. Gold Corporate Card Members have complimentary access to participating VIP lounges up to two times a year. Guests who do not have Priority Pass membership may accompany you to the lounges and access all available facilities for a fee of US$32 per person per visit. For details about Priority Pass, and participating VIP lounges please visit the Priority Pass website (this link will take you to an external website). Travel to and from the airport with your hands free. We offer free luggage delivery from your preferred location to the airport, and from the airport to your preferred location. (*) This service is available for overseas travel only. You can store up to two items of luggage during your layover at Chubu Centrair International Airport. Our dedicated staff will bring your luggage from the airport station exit or bus stop to the check-in counter upon your departure, and from the arrival gate to the airport station entrance or bus stop upon your arrival. Enjoy complimentary, unlimited Wi-Fi access with the Boingo American Express Preferred Plan. For details please visit the Boingo website (this link will take you to an external website).